One of the positive changes happening in Tamil cinema is the increase in the number of films with a female character as solo lead. 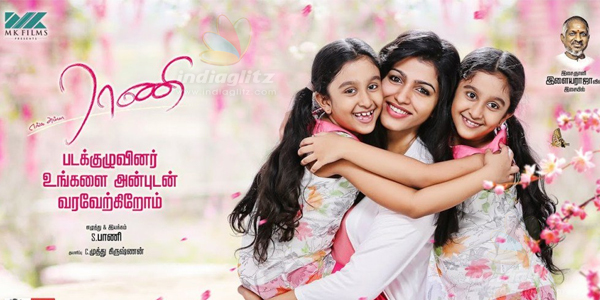 The new addition to the list is ‘Enga Amma Rani’ in which Sai Dhanshika plays the lead role of a single mother of a twin children. Written and directed by debutant Bani, ‘Enga Amma Rani’ makes quite an impact as an emotional story about a mother and daughter, with its limited resources. Thulasi (Sai Dhanshika) is a single mother in Malaysia, whose husband goes missing after a trip to Cambodia. She has to take care of her twin daughter Tara (Varsha) and Meera (Varnika) and takes up a job to extend their stay in Malaysia. Suddenly, Thulasi loses Tara to a rare disease which does not show any symptoms. Soon Meera also gets affected by the same disease. The rest of the film deals with the efforts of Thulasi to save Meera and what happens to her in the process. For an emotional film like this, the relationship of the mother and the kids need to establish well. Bani does that with ease with his proper and precise introduction of characters with their backgrounds and the situations they have to deal with. This helps us to root for the mother and her daughters which helps sustain the audience interest throughout the proceedings of the first half. In the second half, the film takes a turn towards horror and supernatural elements and those do not gel with the film. It looks like the genre is completely changed and that becomes a turn off. However, the damage to mitigated to an extent when an emotional connect between the spirit and Thulasi is established in a convincing manner. The climax is convincingly portrayed and we leave the movie hall with a lump in the throat. Bani succeeds in what he set out to in this sense. 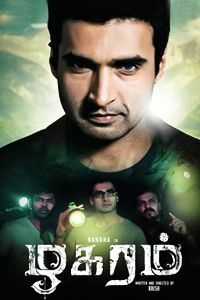 The script does not have scope for entertainment in the sense it is normally associated with regular commercial films. Thankfully, they are not added just for the sake of it. The comedy portions involving Namo Narayana are optimal and evoke some lighthearted fun. But even for a film like this, the presence of excessively slow and long drawn out scenes test the patience beyond a point. One also wonders whether there is some unwritten rule in Kollywood that a film with a female as the lead character should necessarily have a horror angle. Sai Dhanshika has given a performance that she can proudly boast off for her life time.She carries off the emotional scenes and the challenge of breaking down quite well like a pro. It won’t be an overstatement to say that her acting makes the film more relatable to the audience. Varnika and Varsha look so cute and their performances are praiseworthy. The former gets more screen time and scores well. Namo Narayana makes his presence felt while all other actors are just passable. Cinematography by A. Kumaran and S.R. Santhosh Kumar capture the scenic beauty of Malaysia with its real colors. A.L. Ramesh’s Editing makes the film feel like a smooth ride. 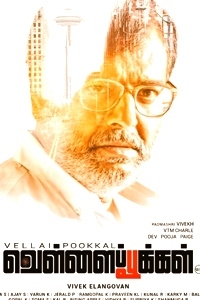 R. Vijayakumar’s Art direction is impressive. Verdict: ‘Enga Amma Rani’ is an honest attempt to convey the greatness of the mother and her sacrifices and succeeds due to which its shortcomings can be condoned.